Feed or finish? For many, it's one or the other. 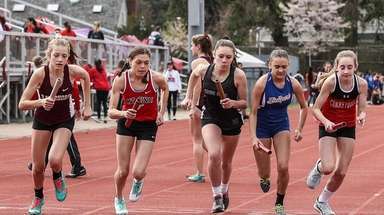 For West Islip's Nicky Galasso, it's both. He's the kid with the magic stick that produced a Long Island-best 136 points, 33 more than the No. 2 scorer, an Island-best 65 assists, and was third in goals with 71. 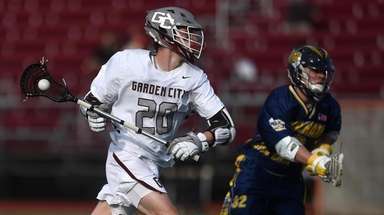 Those statistics, the clutch nature of many of his points, and his team's ascent to a third Class A state title in four years are why Galasso is Newsday's Player of the Year in boys lacrosse. "I think of myself as a feeder first. I can shoot, but I'd rather get my teammates involved," said Galasso, who committed to North Carolina before his junior season. In many games, Galasso would look to pass early, see how the game unfolded, then determine whether he needed to go to the net. "I love playing with Nicky, and I get to do it next year, too," junior middie Andrew Hodgson said. "Whenever we need something big, Nicky is always there." 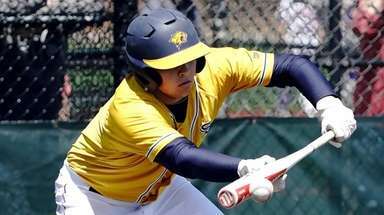 So when the Lions trailed Ward Melville, the only team that had beaten them all season, 4-3 with 5.6 seconds left in the first half of the county finals at Stony Brook, that was Nicky Time. Galasso took the ball from the end line to the net, beat two defenders on the dodge and powered his way for the tying goal with 0:00 on the clock. 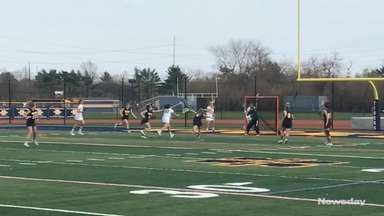 In the state finals at Rochester, Orchard Park battled West Islip to a 4-4 halftime tie. The third quarter was, of course, Nicky Time. He scored two goals and added an assist as the Lions went on to score five straight goals and cruise to a 10-5 victory. Galasso earned game MVP honors for his four-goal, four-assist performance. 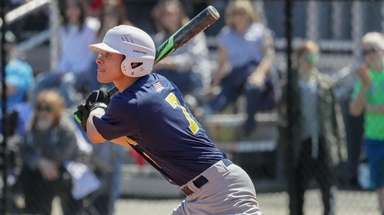 "Nicky is a kid that will excel more at the next level because he'll play with more kids like him," West Islip coach Scott Craig said. "His strength is what kills people. You can't push him away from the cage. As a ninth-grader, he got pushed out. Not any more. Now, he rolls to the cage instead of backing off. He plays his game off contact." Often, "X," the position behind the cage, marks the spot for Galasso. "I know I'm going to have to take a check or that there's going to be a double-team," he said. "That means someone will be open at the crease. If there's not a slide, I'll get to the net myself." Feed or finish? One way or another, Galasso will get you.